My most humble and heartfelt thanks to everyone who supported me in this arduous but ultimately successful 2016 campaign. I owe so much to all those who helped me get out my message. I will do my utmost to repay your trust by working hard in the best interests of the students, the schools and the community. I will need your help because so much work lies ahead. Thanks again. SPARKS, NEV. (Updated 11-3-2016)  The Reno Gazette-Journal has endorsed Dr. Debra Feemster for Washoe County School District Board of Trustees. I was a teacher with the Washoe County School District for 31 years. I worked with many principals and I am proud to say I worked with Debbie Feemster first as a teacher then later as my principal. The wonderful thing about Debbie is her genuine love and respect for all her students. More amazingly, as a principal she had knowledge and love for the entire community. She made teachers feel important. Her custodians and secretaries all worked as a family-like team! I know Debbie would create a tremendously positive work environment as a school board member. She is an amazing team player. She has a million innovative ideas. She believes that every student can succeed. She awakened many students that no one else had ever believed in. She did the same magic with teachers. She creates a very strong and supportive community. Feemster is making her first run for office in District C, the sprawling northeastern Washoe County jurisdiction which spans northern Sparks and Reno through the north valleys up to Gerlach and eastward to the county line. "I am honored at the faith that the region's principal daily newspaper has placed in me," Dr. Feemster said. In its Sunday, Oct. 16, edition, the paper wrote that "Feemster has strong academic credentials: a bachelor's degree in special education, master's in public school administration and a doctorate of education in organizational leadership. "She has also been a teacher and principal in the Washoe County School District," the endorsement continued. "She uses her academic background to suggest interesting ideas, such as bringing back physical education classes not just to improve the health of increasingly sedentary students but also as a way to teach organization and teamwork," the newspaper added. "She is a strong proponent of increasing transparency and doing analyses to understand how to utilize existing facilities better and where it would be cost-effective to centralize more administrative functions," the endorsement concluded. Mrs. Feemster is a 30-year resident of the district. In July, she was appointed to a second four-year term on the prestigious Nevada Advisory Committee to the U.S. Commission on Civil Rights upon which she has served since 2012. Her innovative doctoral dissertation focused on the influence of religiosity on African-American males and their school success. Dr. Feemster is married to retired business executive and real estate broker Lonnie Feemster. Their three children attended Washoe County public schools, completed college and have gone on to successful careers. 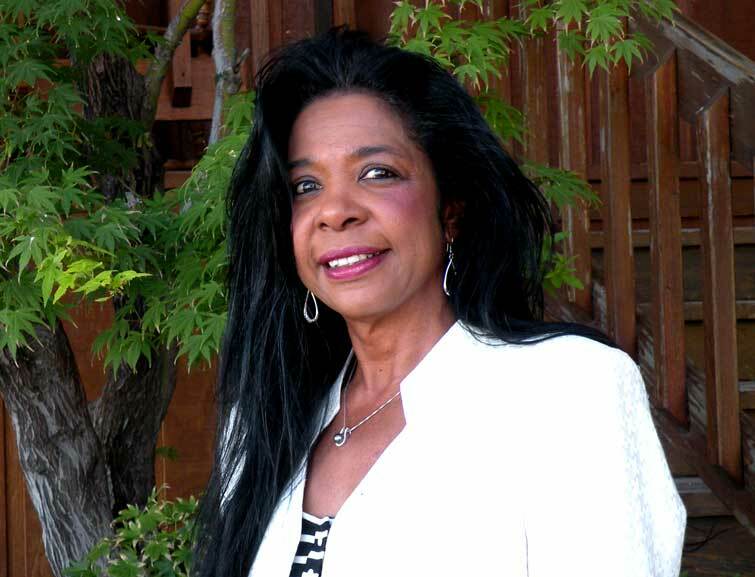 SPARKS, NEV. (July 22) - Lifelong education leader Dr. Debra Feemster has filed for the District C seat on the Washoe County School District Board of Trustees. Dr. Feemster is a 42-year Nevadan who holds four education degrees, three from the University of Nevada. She is a 30-year resident of District C which encompasses most of northern Washoe County. Earlier this month, she was appointed to a second four-year term on the prestigious Nevada Advisory Committee to the U.S. Commission on Civil Rights. She has served since 2012. Dr. Feemster moved up from special education teacher to Title 1 Coordinator and then served as principal of Lincoln Park Elementary, Traner Middle School and Hug High School. Her next position, Director of Equity and Diversity for the school district, added to her long education career. "I specialized in low income area schools and turned down promotions to those with fewer challenges," she stated. "My father, a New Orleans principal, instilled that in me. Challenging schools require the best caring," she added. Mrs. Feemster retired from the school district in 2008 after 30 years of service. Her professional career continued as an education consultant and community advocate for students, parents and school district employees. She has continued to do extensive research on education policy on an international, national and local level over the past seven years. As principal of Lincoln Park Elementary, she implemented the Washoe County School District's first Head Start pre-school program in cooperation with the Community Services Agency of Washoe County. As school district director of diversity, Debra Feemster enterprised a Saturday Math Academy with UNR's Engineering Department. In one year, it increased by 15 percent the number of minority students passing the high school mathematics exit exam. Debra Feemster was instrumental in organizing the school district's annual UNR "College Experience" for minority students, which hiked higher education enrollment by 20 percent in four years. As principal of Hug High, she strengthened the school's partnership with UNR to create a meaningful MESA (Math, Engineering, Science and Achievement) program. She increased minority student participation in ROTC (Reserve Officers Training Corps), which also impacted minority student graduation rates. During her tenure, minority student participation in honors and advanced placement classes rose by 25 percent. Discipline infractions were cut in half. Feemster wrote and was awarded a $50,000 Reno Rotary Club Grant that was used to enhance Hugs Career Center for the entire schoolwide community. Over 90 percent of school parents at Lincoln Park Elementary and Traner Middle School voted to support her pioneering recommendation to implement voluntary school uniforms. This project helped to increase attendance and had a positive impact on student achievement. Traner Middle School received national recognition for significant gains in four major subject areas on the Districts standardized achievement test. Feemster credited the Junior Great Books Program and teacher professional development for this success. At Lincoln Park and Traner, she increased Parent-Teacher Organization participation by 50 percent and 75 percent, respectively. Her innovative doctoral dissertation focused on the influence of religiosity on African American males and their school success. Dr. Feemster is married to retired business executive and Real Estate Broker Lonnie Feemster. Their three children attended Washoe County public schools, completed college and have gone on to successful careers. They have one grand-daughter. This is Mrs. Feemster's first run for public office. Top consultant for author Bruce Stewarts book "12 Keys for Engaging at-risk Students"